A beautiful ornamental with white bloom covered culms. 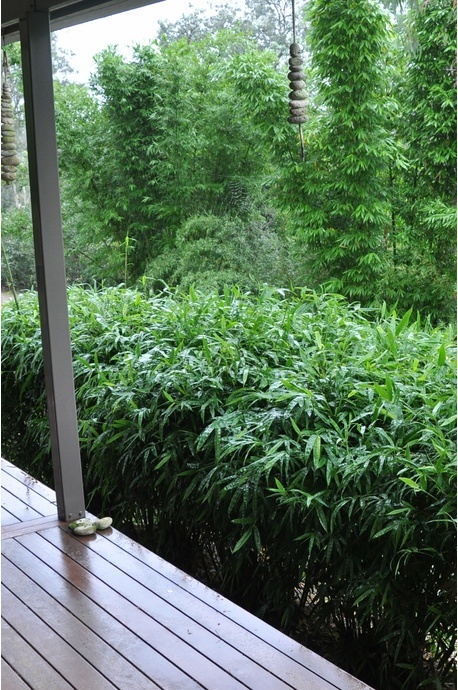 Great privacy screen or feature. 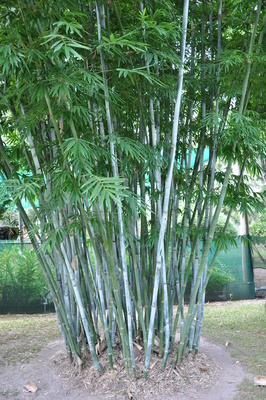 Its common name is 'White Bamboo' due to its obvious white bloom covered culms. 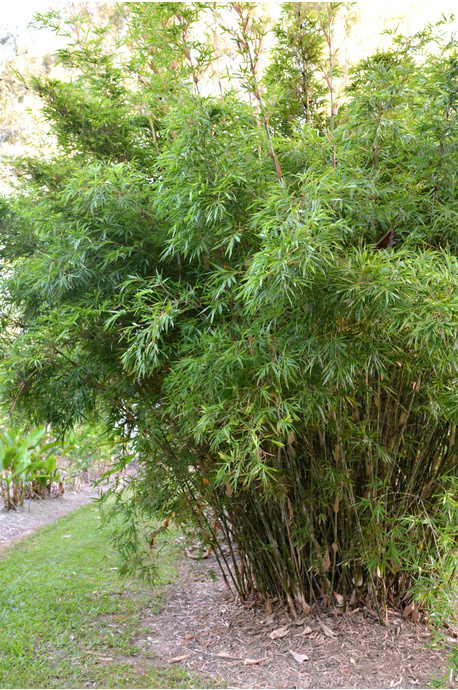 A beautiful ornamental in any garden. 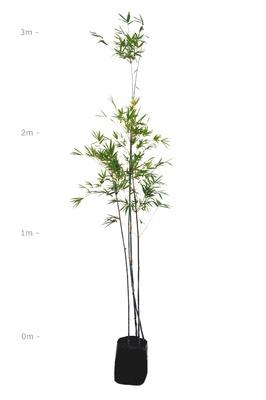 Its extremely long internodes can be used in a multitude of craft applications. 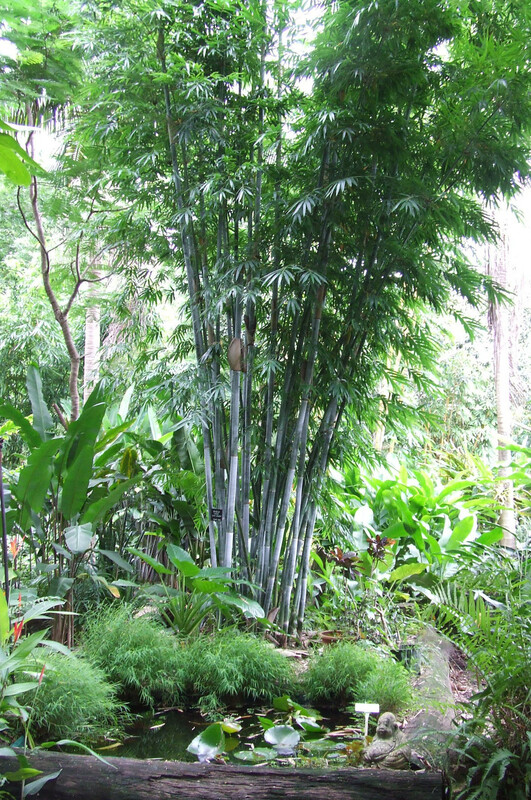 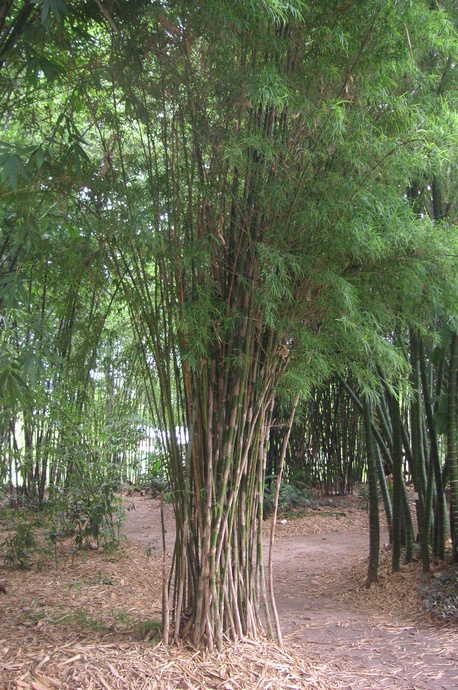 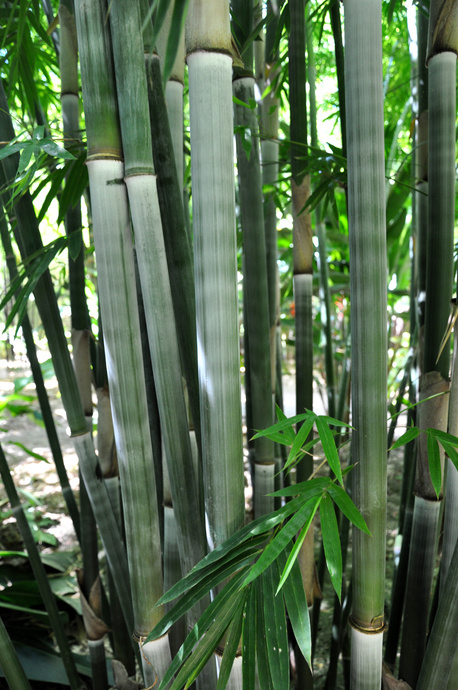 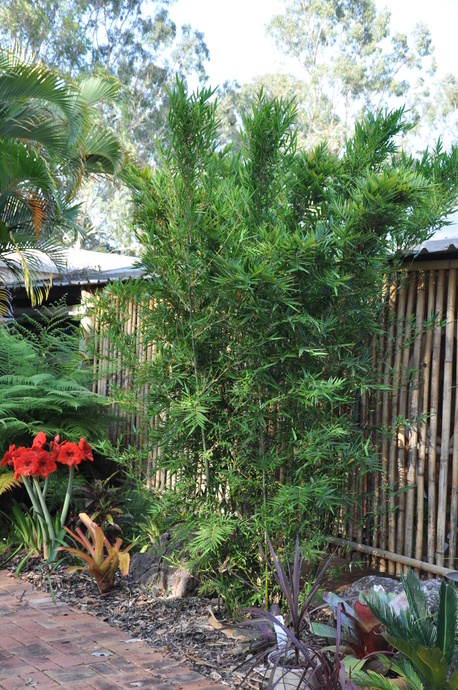 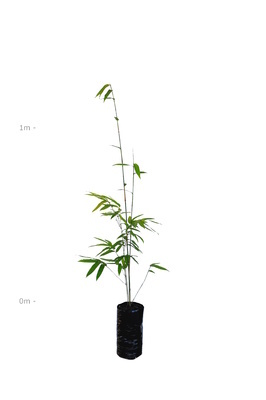 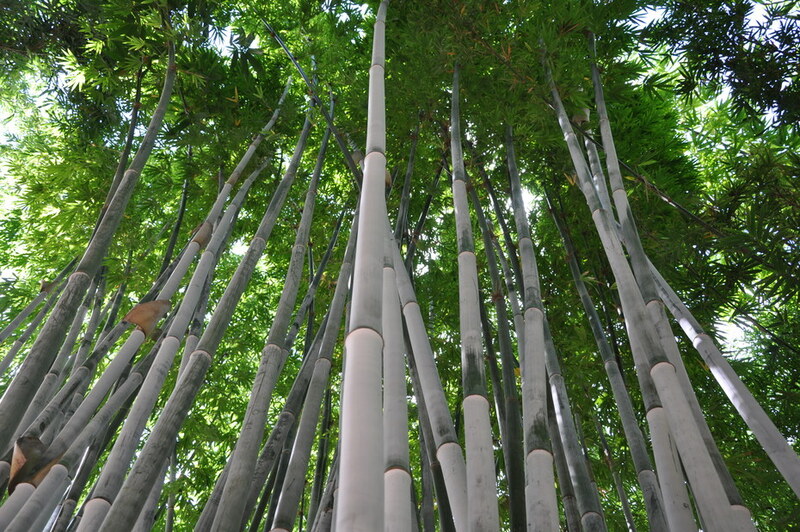 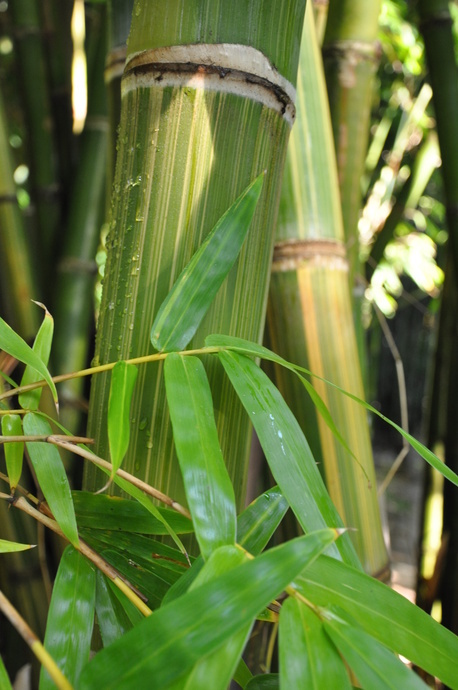 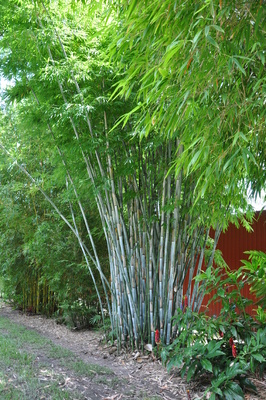 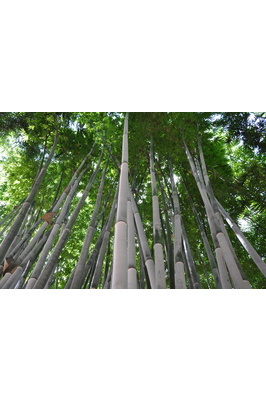 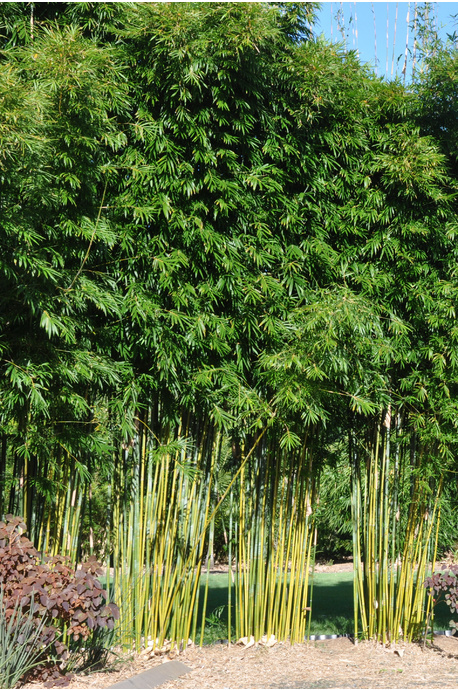 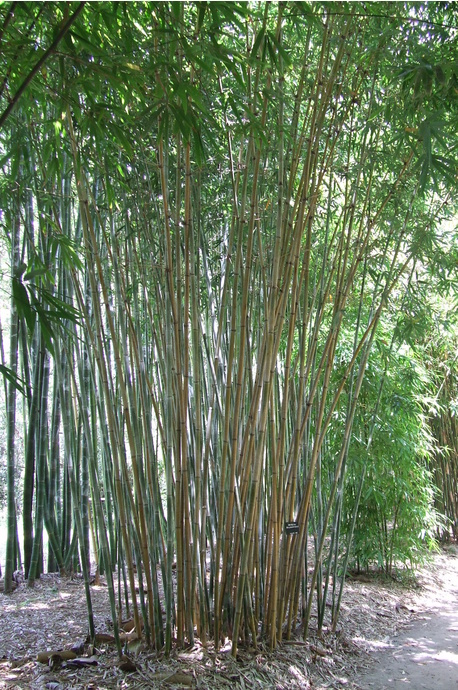 Its tidy appearance, lush foliage and upright growth habit makes it a great screening bamboo. The Chungii is very vigorous in its growth, and will easily get to a couple of meters in diameter, therefore, if used as a screening bamboo, is should not be planted in a garden bed less than about 2m in width, unless using some sort of root barrier to limit its spread.